The next stop on the drive was Jodhpur. We had a late night and got little late in getting up and starting the day. 9:45 AM Checked out and left the hotel. The plan was to get on to NH-15 which would lead us to Jodhpur. We got out of hotel, took Gadisar Road which eventually turns into NH-15. 10:45 AM Crossed Pokharan. NH-15 from here goes towards Bikaner. So to go towards Jodhpur, we take NH-114. 11:10 AM Around 20 Kms. from Pokharan, in a placed called Lawan we found a brand new resort which had not yet opened and asked him if he can give us some tea, he obliged, so we took a short stop there for 10 minutes. 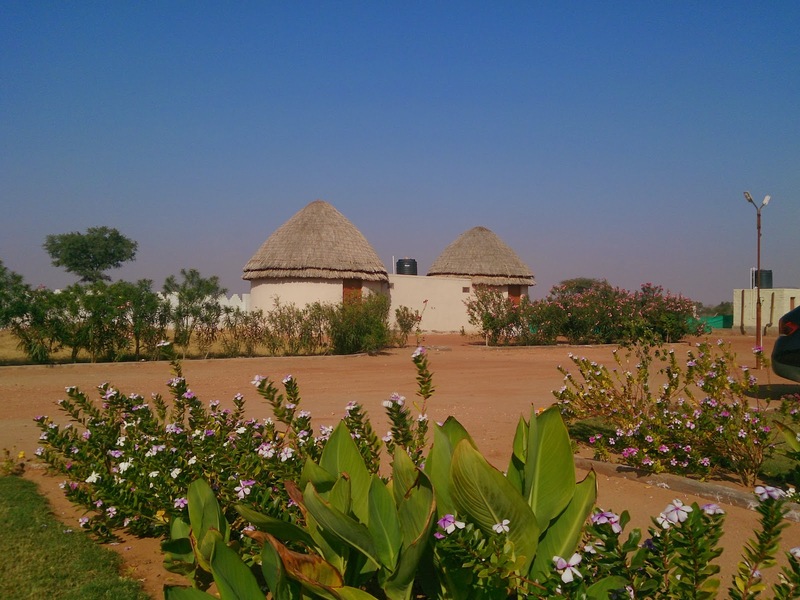 I was surprised to find this resort because it was in a middle of nowhere and I could not think of a reason why somebody would come and stay there. Anyway, with our purpose serve, we continued on our journey. 12:50 PM We reached the outskirts of Jodhpur town. 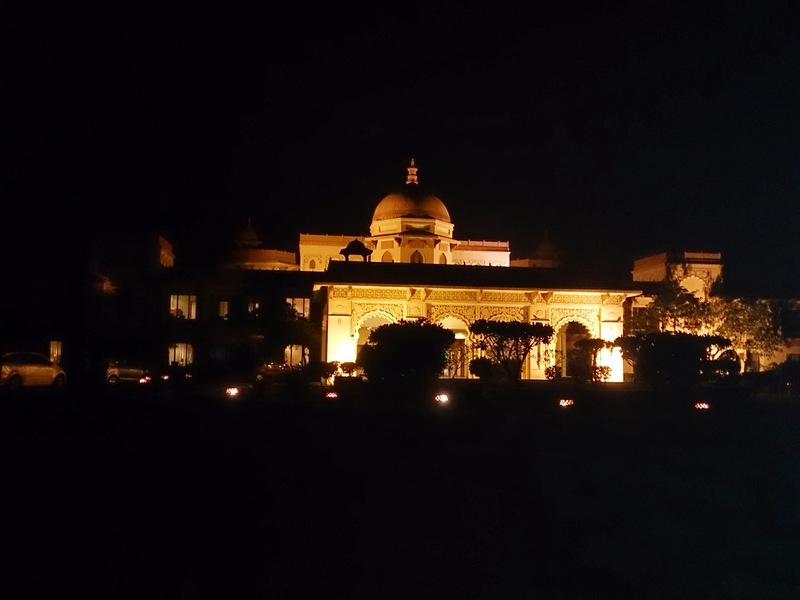 Since we had booked in Gateway hotel and it was across the town on Jaipur Road, we took approximately another half an hour to reach our hotel. 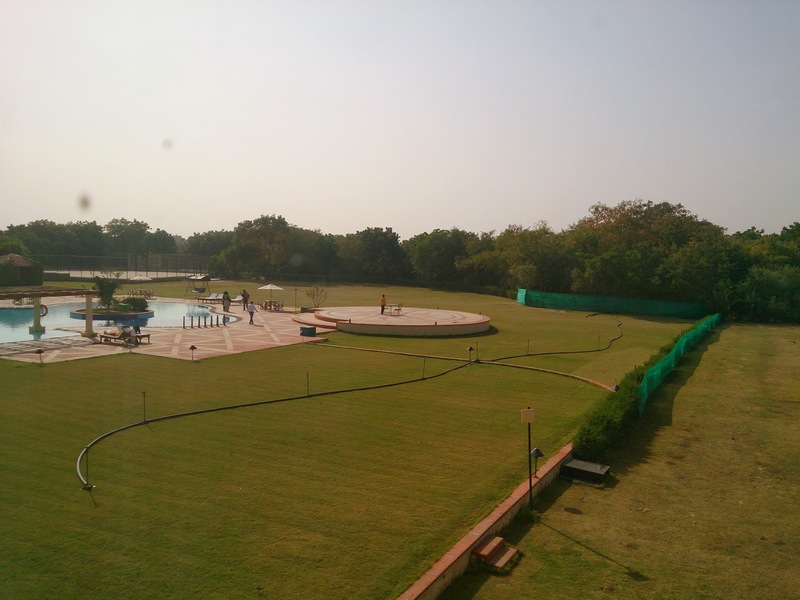 1:40 PM We reached the Gateway Hotel in Jodhpur and checked in. Here is my review of the hotel. We rested for a while, got the lunch out of our way and then were ready to visit Mehrangarh Fort. 3:45 PM We left for Mehrangarh Fort. 4:10 PM We were in Mehrangarh Fort after parking the vehicle and buying the tickets. 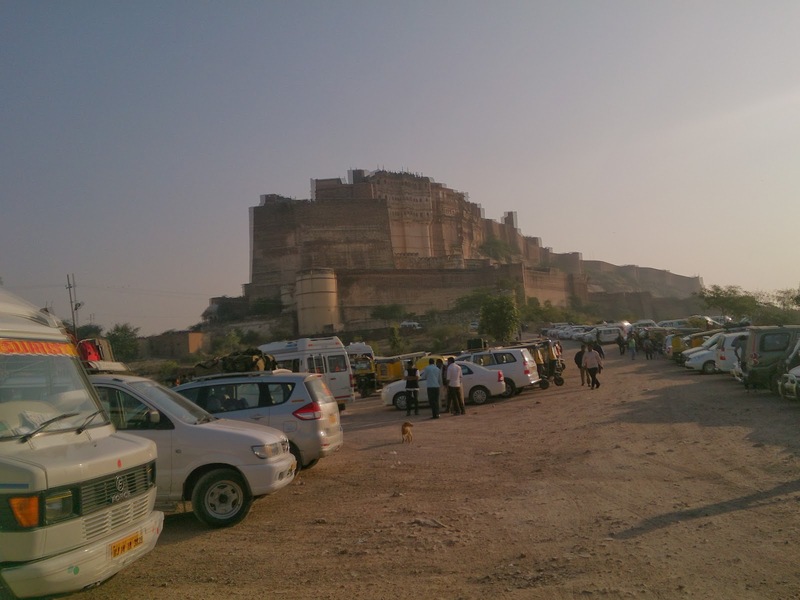 Here is a video of driving into the Mehrangarh Fort. Like many of the attractions in India, Mehrangarh Fort provide a very good audio guide and it is worth taking it to understand the stuff in the fort. Unlike Jaisalmer Fort, Mehrangarh is very different. It is much better preserved and things are in much better condition there. It is more like museum compared to Jaisalmer which is more like an ancient city. The place starts closing down at 6PM and we were ushered out by 6:30 PM. 7:05 PM We were back in the hotel.